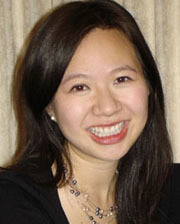 Elizabeth Lim, 23, has received numerous composition awards and honors, and her music has been performed throughout the United States, Europe and Asia. A Walnut Creek native, Elizabeth earned her undergraduate degree from Harvard University and is currently a graduate student in composition at the Juilliard School. In 2008, Elizabeth was named an Emerging Composer-in-Residence with the Berkeley Symphony. For Youth Inspiring Youth, Elizabeth composed music for Skyler Pham’s poem Sisyphean. Skyler Pham is 18 and is currently in college studying Art Education. Skyler says, “At this point in my life my main goals are to be happy, stay positive, and create as much art as possible.” Recently, Skyler has been working a lot with visual arts, especially photography. He has also slowly been working on a novel. Seemed to resonate on the tips of my wings. On my head, fever nearly breaking my bones. Made your bed with bees, and ate berries and seeds. Reattaching the chords and breaking the boards. But I carved ten trembling towers that day. You rose to your feet, as I rose to the top of the heap. A piece about the stars, and the sky, and the clouds. For each word and rhyme that tickled my ears.